Have you ever wanted to customize a food for your dog? Would you buy a food that was made just for your dog? I would like to tell you about a program that lets you do just that. At JustRightPetFood.com, dog owners start by answering a list of questions about their dog, including age, activity level, breed, and body condition. 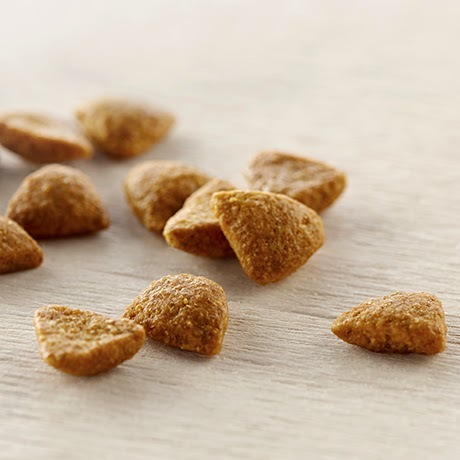 You can select chicken, lamb or salmon as the first ingredient for your dog’s food, as well as whether or not grains and soy should be included in the food. A formula with your dog’s nutritional needs, such as weight management, the dog’s skin and coat health are all taken into account. Got questions?? There is a live operator ready to answer any questions you may have available online. So before you customize your blend , you can ask them in more detail. They will walk you through the process and help you to create a blend. You can reach out to them at Contact Us if you would like to ask questions now. Where is the food made? Will Just Right by Purina be available for cats some day? A: We are in early stages of testing with cat owners and are working with our nutrition experts to create appropriate solutions for cats. We hope to provide a personalized opportunity in the near future. Want to get started with creating a food customized for your dogs life? 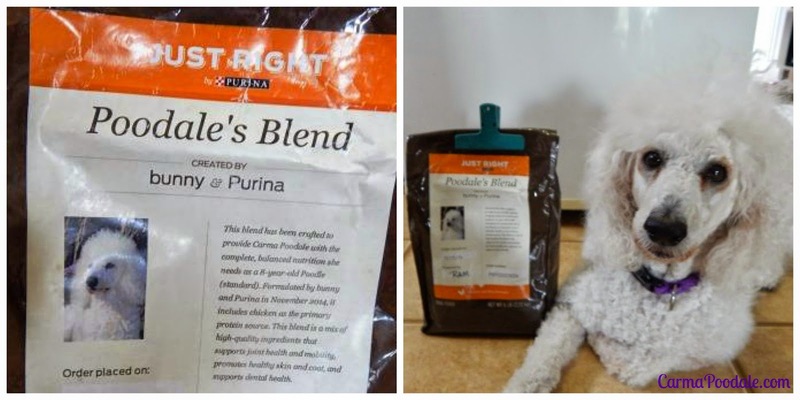 My friends at Just Right by Purina know I love a bargain and have allowed me to share a special just for my readers. You can get a 20% discount off of your first bag of food if you order before May 24th. Just use the special code of CARMA20 when you order your food. What about price? The Just Right by Purina is formulated just for your dog and can be automatically ship to your door so you never forget to order. You can order one bag or more. Shipping is always free! *Includes free shipping but does not include tax. 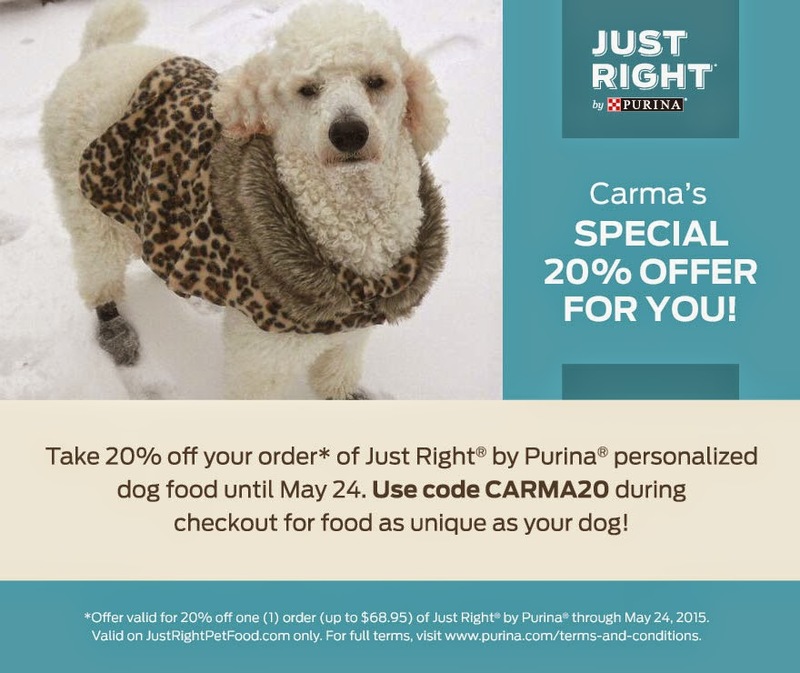 Offer valid for 20% off one (1) order (up to $68.95) of Just Right® by Purina® through. 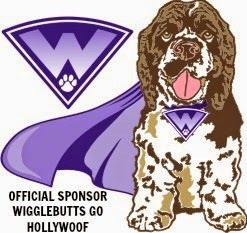 Valid on JustRightPetFood.com only. For full terms, visit www.purina.com/terms-and-conditions. Great review! Sounds like a great food! Oh wow, I didn't know Purina offered a customized pet food! 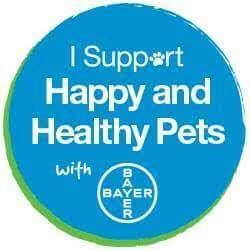 We love Purina & trust the brand. Great review! Yes they have a program that can do just that. You can choose from 3 flavors and whether you need grainfree or soy blend.